Our client – a company providing cash logistics services – was aiming to raise the quality and competitiveness of their services. The company was in need of information on market structure, key market players and ways in which end customers use cash logistics services. This project was a challenging one, mainly due to the market’s nature, but also because of the crucial issue of information confidentiality. In order to provide the client with useful business information on their market, PMR researchers conducted in-depth qualitative interviews with representatives of major Polish companies which use cash logistics services. The study involved persons responsible for making decisions regarding cash management. Preference was given to persons with considerable experience in the industry and a broad knowledge of the market, which allows them to make informed choices regarding suppliers, and to assess the quality of their services daily, over a longer period of time. Because the study focused both on operational issues (using) and strategic issues (choosing a supplier), in some cases our researches needed to acquire information from more than one source within the same organization. services. This knowledge enabled us to complete a report consisting of four parts which were of most importance to our client. The findings were supplemented by a number of conclusions and recommendations, which suggested further courses of action. 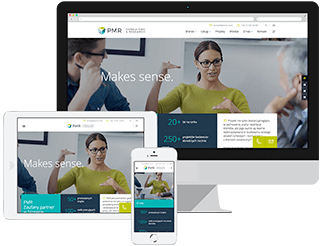 Additionally, PMR researchers conducted workshops in the client’s headquarters, where the study’s findings were discussed with employees of all levels.